Following the path west through the garden from the Ongnyucheon area, just off the path is this Bower Actinidia (Actinidia arguta) vine. 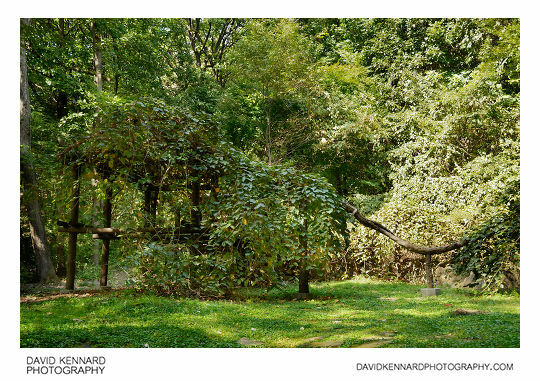 It is notable for being 650 years old, the oldest tree of this type in Korea. 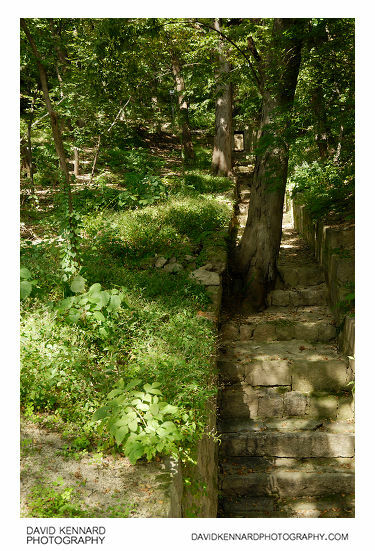 On the way back down through the garden I took a photo looking up these steps that have a tree growing through them. It looks like it would be a bit of a squeeze to get past the tree. Unfortunately we couldn't visit the area of the palace called New Seonwonjeon, as this was closed at the time of our visit. New Seonwonjeon is a royal ancestral shrine that was built in the back garden of Changdeokgung by the Japanese government during the Japanese occupation of Korea. Prior to this the area had contained a shrine to honour the emperor of Ming China. Below the area of New Seonwonjeon the path travels close to the west wall of the palace, and you can look over the wall to see some of the nearby buildings in Wonseo-dong. 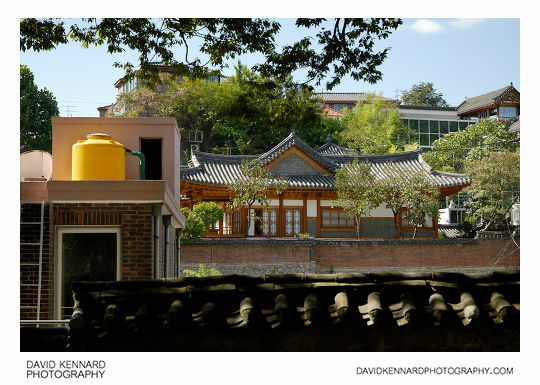 The garden of Changdeokgung is built on the low reaches of a mountain, and so is slightly elevated above the nearby buildings. 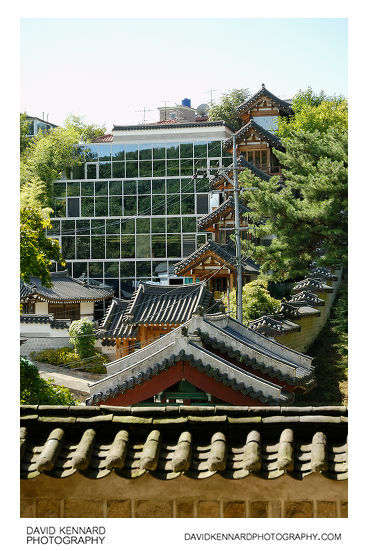 In the photo above you can see the Hanssem DBEW Design Institute (Hangeul: 한샘 DBEW 연구소), a building that mixes both modern and traditional Korean architecture. 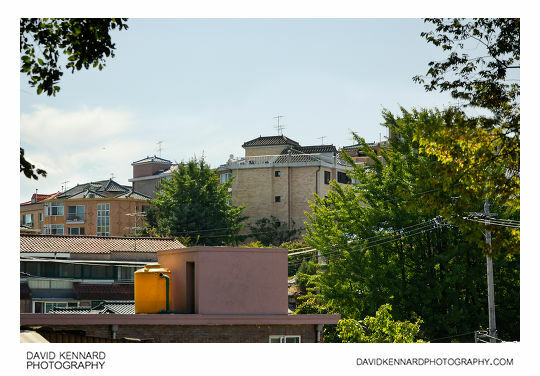 A couple more photos of buildings looking over the palace wall towards Wonseo-dong.